Cannabis plants worth £15,000 were found by police officers during the raid of a house in Barnsley. Officers made the discovery during the search of a house in Brierley Road, Grimesthorpe. South Yorkshire Police said the raid was a result of officers 'acting on information received from the local community'. 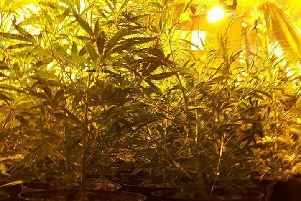 A force spokesman said: "Approximately £15,000 worth of cannabis plants were recovered from outbuildings at the property."